Since Oxymoron, the announcement of Blank Face LP, and an amazing trailer I've been excited about this release. 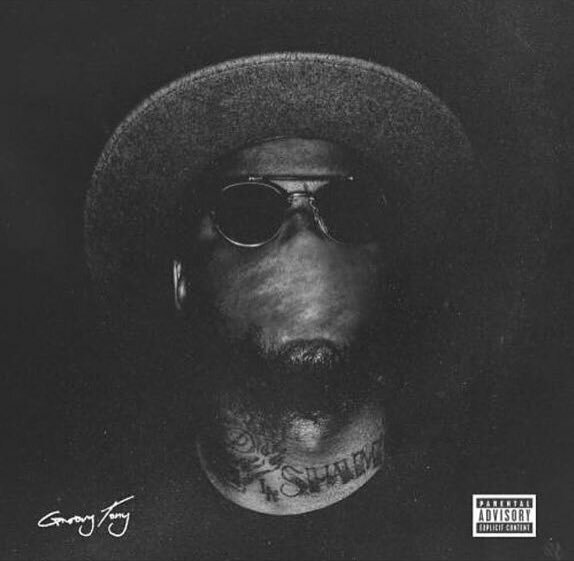 ScHoolBoy Q has grown and polished his sound. The trailer sets up like for a short film or movie. Question, did he entertain us in the theater? Is the follow up to Oxymoron going to hold enough water? Let's get to it. The story begins with TorcH. Although not on the tracklist, it features recent XXL Freshman, Anderson .Paak. We'll hear more about him later. Lord Have Mercy is as it sounds. It's a prayer asking for forgiveness sharing his soul in being a rapper, gangster, father, son, and everything that makes Quincy himself. Swizz Beatz adds his signature sound and vocals throughout. Although an amazing producer, I've never liked his sound. It always sounds like there's way too much going on and I could say the same with this track as well. The lead single, THat Part grew on me like I predicted. I still don't like Kanye's verse. I don't know what it is but he's really been struggling recently with his flow. His first bar is trash, flat out. "Okay, okay, okay, okay, okay, OKAY!" Sounds like my silly attempts at rapping in forth grade. I'm curious on why the Black Hippy Remix didn't make the final cut, but oh well. It's not all bad & I really like the beat. It's West Coast G-Funk meets modernity. The beat changes like how it does in Mercy and a lot of other G.O.O.D Music productions. Then Kanye freestyles again in the end and it sounds silly, if anyone else recorded that they'd consider it an outtake and never leave it in. Maybe it's arrogance, maybe it's art but I'm not feeling it. Hip-Hop is unique because the rappers are the reporters of their time and era. Groovy Tony is Q's journalistic report of the hood sh*t goes through on a daily. Jadakiss takes it from the 323 to Yonkers and tells his New York tale. This track is a two part combined with Eddie Kane. Same BPM but different beat makes for an awesome audio crossfade. Ali mixed the hell out of this project and it shows. I also love the choral vocals in the back of the second verse. Know Ya Wrong features TDE's most recent signee, Lance Skiiiwalker whom we heard a lot from on Jay Rock's last project. Most of the tracks on the project do duel sided sounds and production. This is the same. Ride Out is one of my favorites. It really speaks to the crip in all of us and even features Vince Staples. Gritty, gangsta, everything you'd expect from this song just reading the tracklist cuz. WHatever You Want with Candice Pillay takes an unusual dance, EDM feel. It's definitely the most pop sounding song on the project. Not really much cup of tea but someone will drink it. By Any Means changes back to a darker mood. 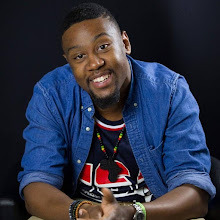 Although not listed in the tracklist or producer credits it sounds like Isaiah Rashaad and Kendrick lent their talents to sing background. I really like the bounce in this. Q gonna do what he needs to do by any means. "Get yours, get yours get yours, by any means. you can f*ck my b*tch you can have my heaux." Dope Dealer features west coast OG E-40 and is produced by Metro Boomin. Doesn't sound like anything he's ever made before. It's as if he left Atlanta trap to west coast funk and it's clearly catered and crafted for the Cali duo. JoHn Muir and Big Body with Tha Dogg Pound gives ScHoolboy a chance to show off his emcee flows on a more core hip-hop sound. Big Body was produced by Tyler the Creator and has the quirky sound you'd expect from him. Neva CHange is another fan favorite for me. SZA comes in assisting with vocals on the hook and DJ Dahi flatters us with simplicity over the beat and mix. Str8 Ballin pays homage to 2Pac's THug life and All Eyez on Me. This is the climactic part of the album where we really really see the most of Q. Black THougHts is where Quincy addresses the black community in what's wrong. This song has the most content and holds the most sentimental value to me. That's to be expected when Kendrick, Q, George Clinton and Terrace Martin get together. I would have loved to hear a verse from Ab-Soul here. I think he would have something awesome to say here, even if it's a wild conspiracy theory. I side-eyed the "All Lives Matter" line until I realized he was talking about the unity of Bloods and Crips. Anderson .Paak returns like he never left in the self-titled track. It almost serves as a remix to TorcH. Miguel and Justine Skye join forces with Q on Overtime. The mood is slow and calm and I recommend the thugs to compromise and add this to their playlist for their shorty, she'll appreciate it. Overtime is to Blank Face as Studio with BJ the Chicago Kid is to Oxymoron. Blank Face concludes with piano keys and 16's from Traffic, TF, and Q on Tookie Knows II. Blank Face is one of the more musical rap albums I've heard recently. The production uses a lot of instruments over artificial synthesizers and other electronically produced sounds. I think this will make his live sets awesome. It will sound like a more intimate experience than a studio crafted listen. I don't know if this was the plan but it seems like every member of Black Hippy is dropping albums kind of telling their Day in the Life or Coming of Age kind of story. Good Kid Maad City, 90059, These Days and now Blank Face are all their perspective Californication Chronicle from different parts of the Los Angeles county area. Ride Out, By Any Means,Neva CHange, Black THoughts, and Overtime will be in rotation for a long time for me. 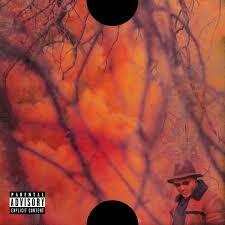 Blank Face LP gets a 4.25 of 5 Stars on the Ramsey Rating Scale. Listen to Blank Face after the break.